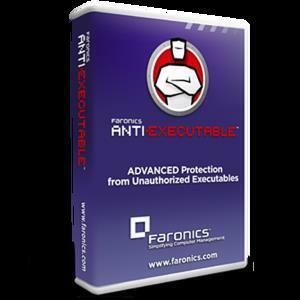 Faronics Anti-Executable safeguards PCs like never before. It offers the ultimate protection from sophisticated threats like zero-day attacks, mutating malware, and advanced persistent threats. Application control provides security beyond anti-virus. Compare the solutions now to see if you’re at risk. By ensuring that only approved applications are allowed to run, it keeps machines free of infections. If a file isn’t on the list, it doesn’t run. Protect your organization from unauthorized applications and watch the number of IT tickets shrink with the best application control solution on the job.